You may have noticed the shiny new badge on the side of blog. I am a very lucky lady because I have been chosen to be part of LeapFrogs blogger panel this year. This means I get to tell all you lovely readers all about the latest releases coming from LeapFrog and bring you some fantastic reviews to let you know just how good they are!!! First up is the LeapBand. I will be receiving the LeapBand for review in a couple of weeks but for now I thought I would tell you a little bit about what it is and just what you can expect!! 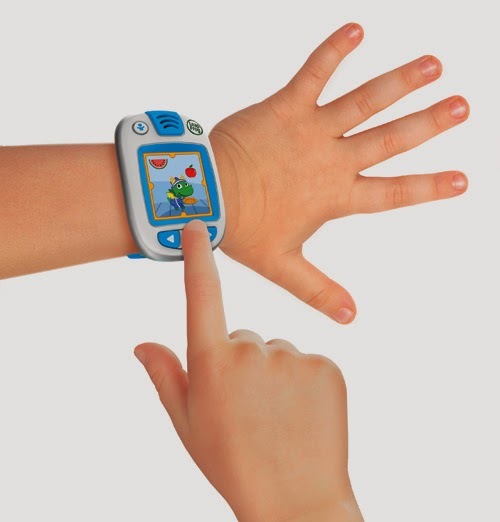 LeapBand is the first wearable activity tracker for children. It has been designed to get them active and learning about healthy eating habits whilst still managing to have fun. It combines personalised virtual pet play with physical activities. It also doubles up as a digital and analogue watch. There are 50 different activities and challenges which track your child's movements, the more active your child is, the more points they earn with their virtual pet. Whilst earning points they can also unlock additional games, challenges levels of play and virtual rewards for their pet!! 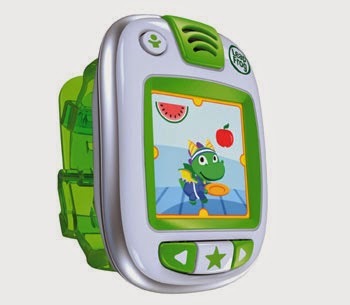 The LeapBand activity comes with eight different customisable pets which you may recognise from LeapFrog’s popular Pet Pals, the pets include a cat, dog, dragon, monkey, panda, penguin, robot and unicorn, all of which can be customised by colour and name. The great thing with the LeapBand is that no additional equipment is required!! The LeapBand activity tracker (RRP £29.99, for children 4 to 7 years old) will be available in green, pink, blue and orange online and at major UK retail locations in August 2014. The colours make it perfect for boys and girls alike. Additional activities and challenges are free and available for download via LeapFrog Connect for LeapBand. For more information about the LeapBand you can take a look on the site at www.leapfrog.co.uk/leapband.